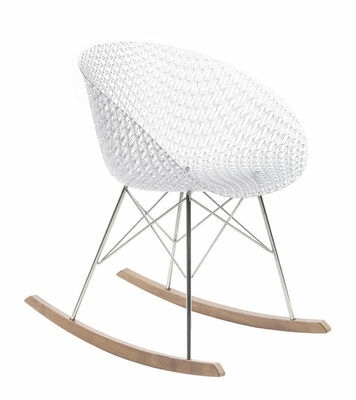 Tokujin Yoshioka presents his latest collection for Kartell: the Matrix chair. 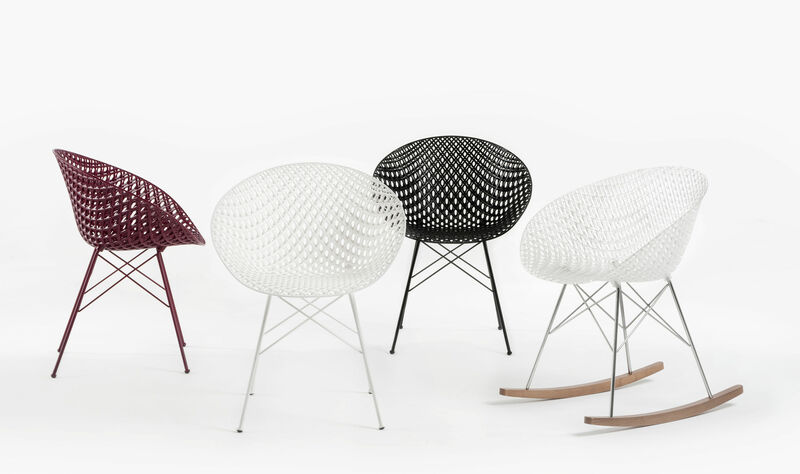 The Japanese designer has provided the brand with his creative ideas, his identity as well as his experimentation in order to offer a chair that exceeds the limits of the usual design of a product. A real work of art, this seat is available in three innovative and creative versions (a chair for indoors, outdoors and a rocking chair) which impress us equally due to their design and their technical feats. Matrix is made from an innovative 3D frame, offering an extremely sophisticated effect and a surprising visual lightness. The mould from which it is made is able to recreate a three-dimensional, overlapping and criss-crossed mesh: thanks to the special injection technology, the polycarbonate layers create a structure taking on the forms of a wire mesh. The rocking chair is therefore made up of a polycarbonate seat, a chromed-steel mesh base and stained-oak finish furniture glides. By simply being there, Matrix with its clean and perfectly sophisticated lines, will enhance your room.. A long study and design process has, for the first time, allowed a prodigious product made from plastic material to be created on an industrial scale. Matrix has unique features in terms of resistance, durability and flexibility defined by its exclusive manufacturing technology. The Italian brand confirms: "The combination of creative design and technological research is a part of Kartell's DNA. New materials constantly pose new challenges that the company has taken on for many years with large investments in order to surpass new limits all the time".